While Russia is accomplishing gigantic feats of railroad building in northern Asia, including not only the great trans-Siberian line, but also the line across Manchuria to Peking and the Yellow Sea, as described in the preceding article. there are railway projects in western Asia almost equally interesting, though far less advanced. Russia has been comparatively free, in her railroad building, from international com­plications, because she was working in the main upon her own soil, was doing the work, as a gov­ernment enterprise, and had a clear justification, from the commercial as well as from the military and imperial point of view. When it came to the great branch line across Chinese territory to the Yellow Sea, there was only one power to deal with, and Russian diplomacy at Peking was equal to the task of obtaining the necessary franchises. In India, in like manner, the British Govern­ment has had ample reasons, commercial and political, for creating the important system of lines that now exists, and that is to be further extended northwestward toward Afghanistan, northeastward into the Yang- tse-Kiang Valley, and ultimately westward across Arabia and Persia to join the Egyptian lines, also under British control. The Russian line across Central Asia beyond the Caspian was constructed in con­nection with the gradual extension of permanent Russian dominion in Turkestan. The most interesting field that remains for rail­way exploitation is that part of Asia which lies south of the Black and Caspian seas and east of the Red Sea, into the very heart of which the Persian Gulf juts up from the Arabian Sea and the Indian Ocean. At the head of the Persian Gulf, where those great parallel streams the Euphrates and the Tigris empty their united waters, modern conditions have made it inevitable that there should be an important seaport and railway rendezvous. Thus, nearly all the great powers of Europe have been intensely interested of late in what is called the Koweit question. That question grows out of the dispute as to whom sovereignty at the head of the Persian Gulf really belongs. Accord­ing to all standard atlases, the shore line in question belongs to the Turkish empire. England, however, now puts in claims on the strength of an alleged protectorate over local Arab tribes inhabiting the neighborhood. Practically, those tribes have exercised control without much ref­erence to Turkey; but technically they are under the suzerainty of the Sultan. The only proper solution is for Turkey and Persia alike to refuse exclusive port and terminal privileges, but to wel­come railway builders from all directions and steamships under every flag. Meanwhile, the most concrete phase of the railway program is not the English line from Egypt, which exists only on paper, nor yet the Russian line from the trans-Caucasus and the Caspian, but the line that is actually under con­struction, chiefly by German capitalists and en­gineers, with the diplomatic and political back­ing of the German Government. This line is projected through a country of such overshadow­ing historical interest that the very suggestion of it stimulates the imagination and makes one long to travel over the route. 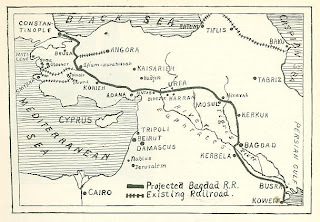 Our accompanying map shows the course of the main line, although it does not indicate the series of branch lines for which the German company, during the past few weeks, has been urgently demanding concessions from the gov­ernment at Constantinople. 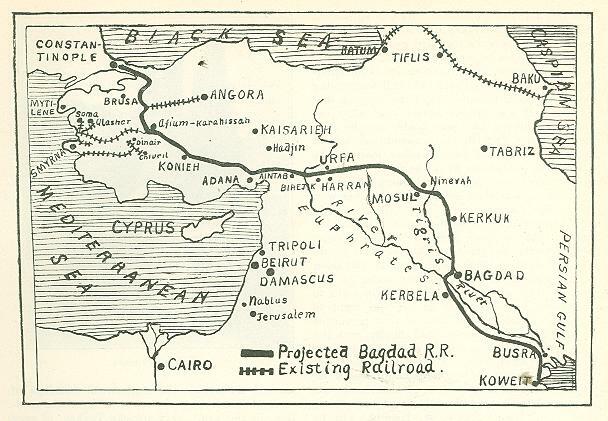 It is not a question of being allowed to build railroads in Asiatic Turkey, for this privilege the Turkish Govern­ment was ready to accord to responsible capital­ists, on account of the economic and military advantages that would accrue to Turkey from the creation of transportation lines. Thus, it has been said that if these projected railways had been built Turkey would. have been able to mobi­lize large bodies of additional troops at the time of her last war with Russia, with the chance of a different result. Moreover, railway lines in Asiatic Turkey would be followed by an immedi­ate development of the agricultural resources of the country, to the obvious benefit of the Turk­ish exchequer. All this is well understood at Constantinople. The promoters of the German line, however, are eager to get all the advantages that can possibly be wrung from the Turkish Government. This so called "German Anatolia Railway Company" obtained. 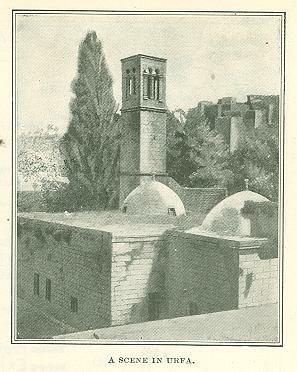 its original concession in January, 1900. The agreement was drawn up by Zinhi Pasha, minister of commerce and public works, on behalf of Turkey, and the distin­guished German banker, Dr. von Siemens, who was president of the board of directors of the Anatolia Railway Company. By this agreement the company undertakes to build within eight years and to operate a standard gauge road from Konieh to Busra by way of Bagdad. 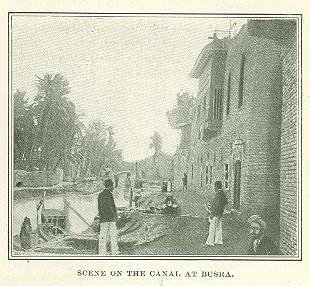 The com­pany, meanwhile, was in possession of the exist­ing line from Haider-Pasha (which lies across the Bosporus below Constantinople) to Angora and Konieh. It was further agreed that after the necessary surveys had been made, and the com­pany and the Turkish Government had agreed upon the route and various other matters, the question of guarantees would be taken up. The surveys have been pushed with energy, and it is this final question of guarantees that has now been under discussion. Whatever the precise details,. it is reasonably certain that the main demands of the German company will be granted. These have to do with the right to build the eighty-mile extension of the road from Busra to deep water on the Persian Gulf at Koweit; the absolute right to build five branches, and an optional right to build seven others, with further port privileges on the Persian Gulf coast; and, finally, with the right to work mines within a certain distance from the railway lines. Turkey is further asked to help the enterprise by guaranteeing interest on a bond issue. The main line (in addition to the several hundred miles of road now in operation), to be built from Konieh to Koweit, will be something over fourteen hundred miles in extent. As we have intimated, the scheme has been worked out with characteristic thoroughness by excellent engineers and men prominent in Ger­man financial circles who are close in the councils of the German empire. 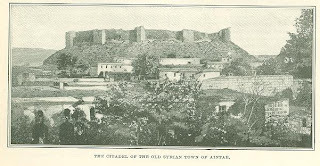 These Germans have studied thoroughly the commercial bearings of their undertaking, and they count upon the creation, in the heart of European Turkey, of very productive new areas of cereals and cotton, and also of a large export crop of wool, together with an almost incalculable wealth of petroleum and other products of an agricultural and mineral character. It is estimated that the main line will cost not far from $120,000,000. Originally published in The American Review of Reviews. December 1901.